The report was issued today by Norbert J. Ore, CPSM, C.P.M., chair of the Institute for Supply Management™ Manufacturing Business Survey Committee. "The decline in the manufacturing sector continues to moderate. After six consecutive months below the 40-percent mark, the PMI, driven by the New Orders Index at 47.2 percent, shows a significant improvement. While this is a big step forward, there is still a large gap that must be closed before manufacturing begins to grow once again. The Customers' Inventories Index indicates that channels are paring inventories to acceptable levels after reporting inventories as 'too high' for eight consecutive months. The prices manufacturers pay for their goods and services continue to decline; however, copper prices have bottomed and are now starting to rise. This is definitely a good start for the second quarter." ISM's New Orders Index registered 47.2 percent in April, 6 percentage points higher than the 41.2 percent registered in March. This is the 17th consecutive month of contraction in the New Orders Index. A New Orders Index above 48.8 percent, over time, is generally consistent with an increase in the Census Bureau's series on manufacturing orders (in constant 2000 dollars). 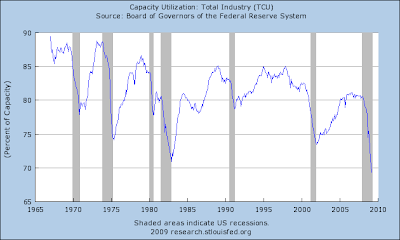 Capacity Utilization is at the lowest level in almost 40 years. In other words, once we are back in positive territory on the ISM we have a lot of capacity to use up before we are back on a solid path. For me, one of the biggest surprises of the GDP report was the increase in personal consumption expenditures -- especially the jump in durable goods purchases. The above chart places that move in perspective. There was a big increase in January which was followed by two months of decreases. In addition, we're still below the September/October level. In other words, the jump was from a low level. Consumer spending on non-durable goods increased in January and February but decrease in March. However, note again that overall spending is at lower levels relative to September and October. Consumer spending on services increased at the beginning of this year, but note the scale on the far left -- this is hardly a big jump. Simply for the reasons of intellectual curiosity, I did three charts which show the percentage of services, durable goods and non-durable goods as a percentage of disposable income. What's interesting is the percentage of each purchase actually decreased. This is largely as the result of the increase in disposable personal income noted in the preceding post. 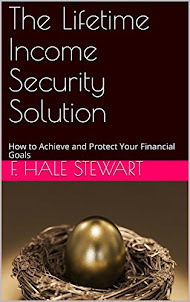 Personal income decreased $34.4 billion, or 0.3 percent, and disposable personal income (DPI) decreased $1.8 billion, or less than 0.1 percent, in March, according to the Bureau of Economic Analysis. Personal consumption expenditures (PCE) decreased $24.2 billion, or 0.2 percent. In February, personal income decreased $24.3 billion, or 0.2 percent, DPI increased $0.2 billion, or less than 0.1 percent, and PCE increased $39.1 billion, or 0.4 percent, based on revised estimates. Total personal income -- which is a macro level statistic -- has been decreasing since October. A big reason why is a decrease in wage and salary disbursements. Yet, disposable personal income increased in January, February and March giving the US consumer more to spend. Why? First there was an increase in transfer payments. Secondly, there was a decrease in personal current taxes. The weekly chart of the dollar shows that prices formed a double top with the first top occurring at the beginning of 4Q08 and the second occurring in 1Q09. 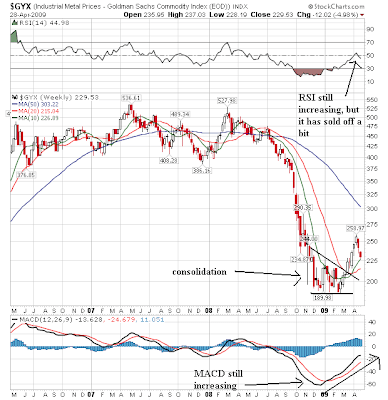 However, both the RSI and MACD formed lower highs on the second top indicating a weakening trend. Prices have sold off since the second high and formed a pennant pattern. Prices are tied in with the 10 and 20 week SMA. The MACD is still moving lower and the RSI is giving a luke warm reading right now. On the daily chart we can see prices break through the uptrend of the second top along with a break of the current pennant pattern. 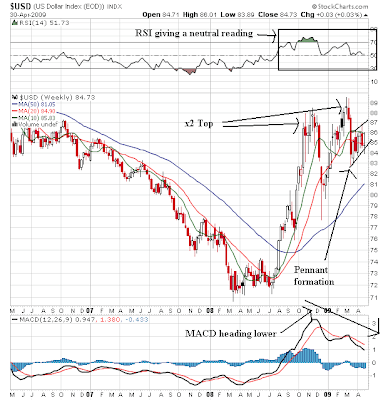 Also note the RSI has broken its trend and the MACD has given a sell signal. Prices are below all the SMAs, but the SMAs are still in a tight pattern so that position isn't as important. Bottom line: technically the daily chart is saying we're moving lower. 1.) If the world economy remains in a recession, the dollar will have a safe haven status keeping it higher. 2.) If the us recovers the dollar will be attractive. In other words, either way the dollar is a winner. There is very important news today: the QQQQs move over and closed above the 200 day SMA. The 200 day SMA is usually considered the dividing line between bull and bear markets so today's action is incredibly important technical news. Also notice on the QQQQs the chart is very bullish -- all the SMAs are moving higher, the shorter SMAs are above the longer SMAs and prices are above all the SMAs. The only drawback to this chart is the declining volume on the rally -- but that is not fatal. The main issue with the SPYs is their inability to close over the trend line. Aside from that this is a bullish chart as well. 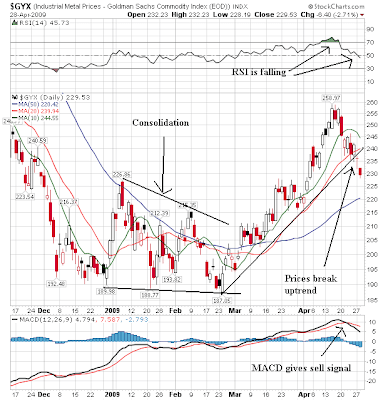 On the IWMs, prices are above the horizontal trend line but below the upward sloping trend line. However, notice the volume spike from yesterday indicating more participation. The big drop in inventories was a big story from the GDP report. 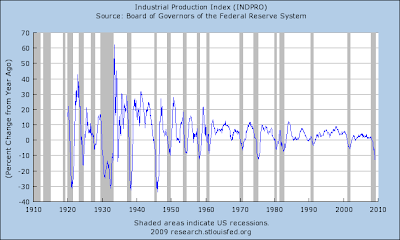 The thinking was that if inventories were dropping then people would have to replenish inventories, thereby increasing domestic production. The New York Fed's report directly confirms the overall theory -- inventories are dropping. 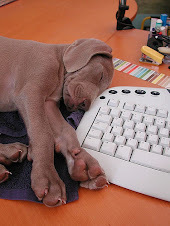 As a result, new orders are leading to an increase in shipments. The rate of descent is definitely slowing in the Chicago area where the purchasers' index jumped nearly 10 points to 40.1, still sub-50 to indicate contraction but nevertheless a big gain. There's improvement across the report led importantly by new orders which jumped more than 11 points to 42.1. Backlog orders also showed less month-to-month deterioration, at 36.9 vs. March's 21.3. The Chicago report draws its respondents from across industries whether manufacturing or non-manufacturing. Order readings from the ISM had been mixed to improving in recent months and today's results point to solid improvement for both ISM reports. So -- we have two indexes (New York Fed and Chicago ) that gives us some hope but one other (Philadelphia) that doesn't. The above chart shows what contributed to the -6.1% inflation adjusted decrease in GDP last quarter. This chart tells us some very important information. 1.) Practically everything fell apart last quarter. Imports have dropped by $802 billion since 2Q2008 and exports have dropped $432.2 billion. Because imports are dropping faster than exports GDP is "technically" increasing -- or more specifically subtracting less from GDP. However that drop indicates US demand is dropping which is a bad economic development. Prices have broken out of a triangle consolidation pattern but have since formed a rounding top. They are now using the 10 week SMA as technical support. 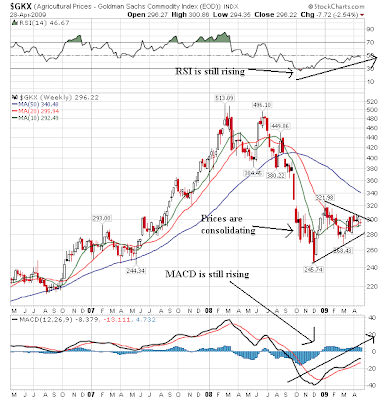 The MACD and RSI are still rising indicating upward momentum. The 10 week SMA has crossed over the 20 week SMA and the 20 week SMA is turning positive. 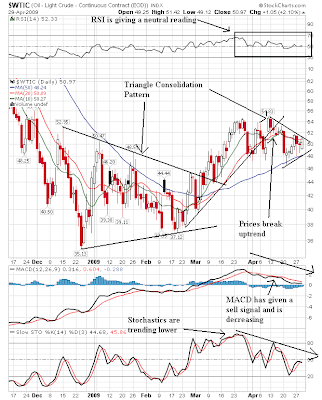 The daily chart shows prices are currently consolidating in a triangle consolidation pattern. Prices and the 10 and 20 day SMAs are in a tight configeration indicating a lack of direction. The MACD and stochastics are heading lower while the RSI is giving a neutral reading. Read together, these charts don't provide a very clear picture. The weekly chart is giving a conflicting signal with postive technical indicators but a topping formation on the price chart. The daily chart is also mixed, but the weight of the evidence (MACD, stochastics) is down. Crude oil stocks are still increasing and are at very high historical levels. Regular gas prices are staying right around $2.00/gallon indicating a lack of demand pull. Gas demand was fairly level for the last 4 weeks. A close look at all the charts below indicates the 10 and 20 day SMAs are moving higher on all. The 50 day SMA is starting to turn higher on the SPYs and IWMs and is already moving higher on the QQQQs and IYTs. These charts are looking pretty good despite the weak GDP reading today. My guess is the market thinks it can't get any worse from here. The SPY chart is still bullish and prices are just below important resistance levels. A move about the horizontal line would be a very bullish move. Also note the price/SMA situation is stil very positive. However, the overall lack of volume -- especially on the later part of the rally -- is still concerning. The QQQQs continue to be the real market leader. While the SPYs and IWMs stalled a bit over the last few weeks, the QQQQs just continued higher. Most importantly, the QQQQs are just below the 200 day SMA. A move through that level would signal a possible return to bull market territory. Today the IWMs broke through important upside resistance on good volume and a strong candle/bar. While prices are still below the upward sloping trend line that started in early March, today's move is a very important technical development. The Transports are just below a very important technical level. Notice the incredibly strong volume bars printed over the last two days. Traders want to move this index higher. 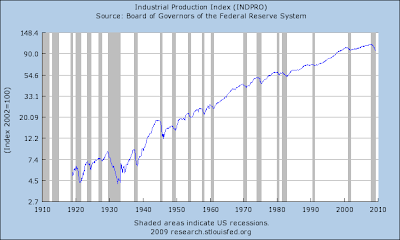 Real gross domestic product -- the output of goods and services produced by labor and propertylocated in the United States -- decreased at an annual rate of 6.1 percent in the first quarter of 2009, (that is, from the fourth quarter to the first quarter), according to advance estimates released by the Bureau of Economic Analysis. In the fourth quarter, real GDP decreased 6.3 percent. The decrease in real GDP in the first quarter primarily reflected negative contributions from exports, private inventory investment, equipment and software, nonresidential structures, and residential fixed investment that were partly offset by a positive contribution from personal consumption expenditures (PCE). Imports, which are a subtraction in the calculation of GDP, decreased. The slightly smaller decrease in real GDP in the first quarter than in the fourth reflected an upturn in PCE for durable and nondurable goods and a larger decrease in imports that were mostly offset by larger decreases in private inventory investment and in nonresidential structures and a downturn in federal government spending. Motor vehicle output subtracted 1.36 percentage points from the first-quarter change in real GDP after subtracting 2.01 percentage points from the fourth-quarter change. Final sales of computers added 0.05 percentage point to the first-quarter change in real GDP after subtracting 0.02 percentage point from the fourth-quarter change. This charts tells us that since 4Q07 there has only been one quarter where growth was over 2%. But looking at a longer time period, since the 3Q06 there have been only three quarters where growth was over 2%. That means that only 27% of the last 11 quarters have had a solid rate of growth. A 9.1% increase from the preceding quarter in consumer's purchases of durable goods. Also note the nondurable goods -- which were down in the preceding quarters -- were up was well. All the subcategories of domestic investment cratered. Notice the incredibly large drop in non-residential structures. Finally, imports and exports both dropped like stones as well. 1.) Overall, growth has been weak for 8 of the last 11 quarters. 2.) The consumer actually bounced back thanks to an increase in durable goods purchases. Frankly, I'm pretty shocked by this development. 3.) Gross investment dropped like a stone across all major categories. 4.) Imports and exports dropped hard and fast as well. At least six of the 19 largest U.S. banks require additional capital, according to preliminary results of government stress tests, people briefed on the matter said. While some of the lenders may need extra cash injections from the government, most of the capital is likely to come from converting preferred shares to common equity, the people said. The Federal Reserve is now hearing appeals from banks, including Citigroup Inc. and Bank of America Corp., that regulators have determined need more of a cushion against losses, they added. By pushing conversions, rather than federal assistance, the government would allow banks to shore themselves up without the political taint that has soured both Wall Street and Congress on the bailouts. The risk is that, along with diluting existing shareholders, the government action won’t seem strong enough. “The challenge that policy makers will confront is that more will be needed and it’s not clear they have the resources currently in place or the political capability to deliver more,” said David Greenlaw, the chief financial economist at Morgan Stanley, one of the 19 banks that are being tested, in New York. Bank of America Corp. needs $60 billion to $70 billion of capital, according to Freidman, Billings, Ramsey Group Inc. analyst Paul Miller, who cited stress tests performed by his firm. Bank of America should consider converting its preferred shares to common stock, including $27 billion in private hands “as soon as possible,” Miller wrote in a note to clients today. Miller said his firm’s versions of the stress tests were “somewhat tougher” than those performed by U.S. regulators. Bank of America is among 19 lenders evaluating results of the formal U.S. stress tests. The Charlotte, North Carolina-based lender sold $45 billion of preferred stock to the Treasury’s bank rescue fund. Chief Executive Officer Kenneth Lewis and directors face opposition from shareholders to their reelection at tomorrow’s annual meeting after a 78 percent drop in the share price in 12 months. “Most major banks will find it very difficult to raise that kind of capital in today’s environment, and we believe the first line of defense would be to convert both private and TARP preferred to common equity,” Miller said. FBR’s stress test included a 12 percent jobless rate, compared with about 10 percent used by the government test, Miller wrote. I've been trying to get my head around a few different issues lately. 1.) 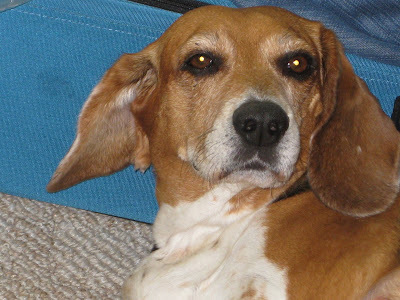 I voted for Obama and therefore have a personal stake in his success. 2.) Should I be supporting the Treasury's plan based on number 1? The primary issue dividing Geitner's supporters and detractors is the issue of nationalization of the banks. Those that are calling for an immediate nationalization of the largest banks are essentially arguing nationalization is the only method of dealing with the problem. I have come out against nationalization largely because no one has adequately explained how to prevent the process from becoming overtly political. If we can find someone to lead the charge who will do his job based on financial not political reasons I have no problem with nationalization. But considering we recently saw a movement to force JP Morgan to convert secured lending into equity because the bank took TARP money, my fears are still out there and unanswered. I should also add that I supported the idea of using the remaining TARP money to make one giant fund that buys all the good assets from the troubled banks and leave the bad assets to either return to higher values or die. At least then we would only have one institution to monitor. Basically my problem is that I don't trust anyone - Democrat, Republican, Martian -- to do anything for the right reasons. That being said -- what the hell is the Treasury trying to do? Here's my read. I think the stress tests were performed to figure out where money needs to go. In addition I think the subtext of the tests was to figure out who needs to be sold and what a fair price for those assets is. Part of Geitner's standard operating rules is to use the government to goad private action. He did this with Bear's sale and probably had an invisible hand in other deals that have happened over the last year or so. So I think it makes sense for him to try and do this again. That being said -- it's one hell of a gambit. Do I personally support it? About as much as I would support any "solution" right now. But that does not mean I'm thrilled by the option. Industrial metals declines sharply in the second half of last year. 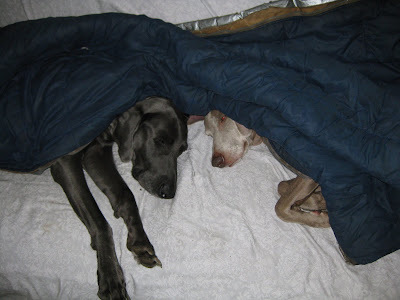 Since that fall they have consolidated their losses in a triangle pattern. They broke through upside resistance about a month and a half ago, but have fallen the last two weeks. 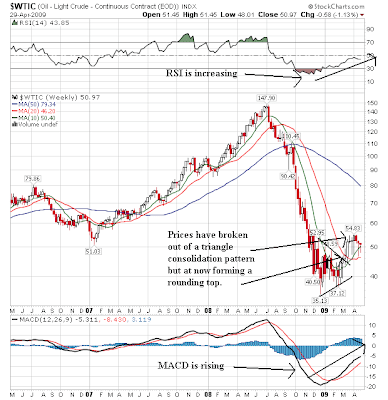 The technical picture is still solid -- the 10 and 20 week SMAs are rising as are the MACD and RSI. But the RSI has dipped a bit and prices are currently standing at the 10 week SMA for support. The daily chart adds some much needed clarity. Notice first that prices have broken the uptrend that started in late February. Prices have also fallen through the 10 and 20 day SMAs while the MACD has given a sell signal and the RSI is losing strength. Agricultural prices sold off at the end of last year and have since consolidated in a triangle formation. While the MACD and the RSI have been increasing -- indicating a technical move higher -- prices have yet to break out. Notice that prices and the SMAs are in a tight pattern indicating an overall lack of direction. Note that on the daily chart we have no firm direction. 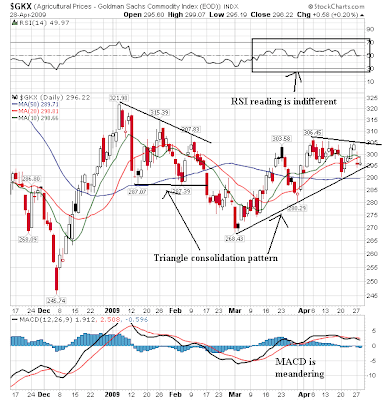 While prices are in a technical rally since the beginning of March, the upper bounds of the triangle consolidation are clearly keeping prices contained. 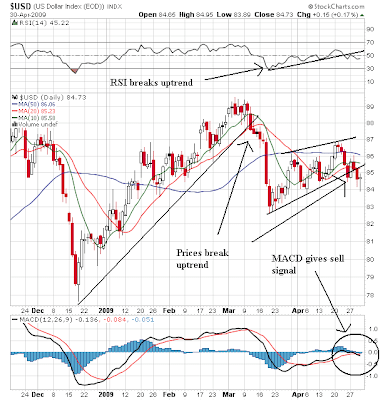 The MACD provides no direction, nor does the RSI or SMA. The good news in this chart is there is no indication we'll see prices move lower. Considering the overall economic pictture, this is a good thing as it means deflation is off the table for now. But it's also possible for prices to meander at low levels for awhile. The QQQQs are still the best performing average. Notice how they still have a decidedly upward sloping trajectory? Also note the bullish price/SMA orientation -- prices are above the SMAs, the shorter SMAs are above the longer SMAs and all the SMAs are moving higher. But the degree of the ascending line is slowing. The SPYs and the IWMs are both having trough getting beyond key resistance levels. Both have broken key trendlines as well and are in general moving sideways right now.